THE BLEACHER BRIEFINGS: Desperate Times in Brooklyn? Coming into this season, the Brooklyn Nets were expected to be one of the powers in the Eastern Conference. With three All-Stars in their starting five and a brand new multi-billion dollar arena, the Nets were supposed to be a force to be reckoned with. 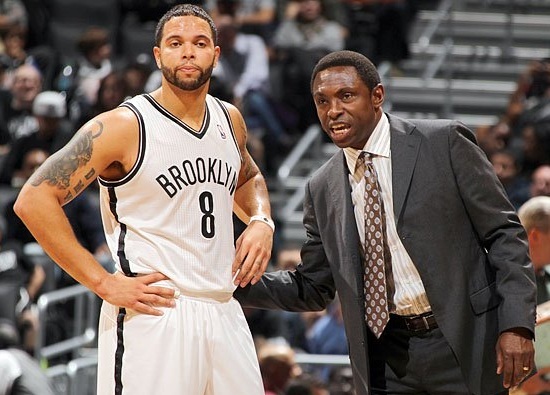 But a 14-14 start to their season has many questioning whether it's time to panic in Brooklyn, and the Nets' front office has already made their first move of desperation by firing head coach Avery Johnson. What makes this move desperate? Not the fact that they have lost 10 of their last 13, but the fact that at 14-14, the Nets are still currently a playoff team in the East. Reaction from around the NBA, even in the Brooklyn locker room, was unanimous shock. So why the unforeseen abandon ship? Complete desperation, that's why. The Nets are a desperate franchise right now. With a multi-billion dollar arena, multi-billion dollar owners and a half-billion dollar roster, this is not the right situation for a team to play inconsistent basketball. 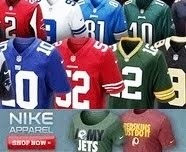 This year, Brooklyn can't afford to be average when their rivals across the river are the talk of the town. The Nets were supposed to be the toast of the city, the front page headlines, not just the random coverage in the middle of the sports section. The biggest sign that it's time to panic? What the players themselves are doing. When guys start questioning things publicly; work ethic, attitudes, coaching style, etc. -- that is a major red flag. Players only complain publicly when there's a major problem, and right now, the Nets have big time issues. When the star player openly says he's not comfortable with a coach's system, and major role players are questioning effort and heart, there is nothing good going on in the locker room. Look at the difference between teams like Oklahoma City or San Antonio compared to the Nets. When a Kevin Durant or Tim Duncan speaks to the media, you get the vibe that their locker room is in harmony and everyone is on the same page. When you hear a Brooklyn player talk, you feel their locker room has a weak connection. To send a message, Avery Johnson was the scapegoat. Not because he deserved it, but because it was easiest thing to do. An impact move that the team could make internally to put everyone from the coaching staff down to the water boys on notice that no one is safe. Not even someone who recently won Coach of the Month. How was it easy? Well what would get less media outrage? Firing a coach or trading a star player or a package of players? What takes less time, work, and energy? Giving a coach the pink slip or comprising a blockbuster trade of at least one star player? It was the most drastic thing they could do to provide a spark without trying to look desperate. In reality, it just sounded an alarm to make all realize how bad it really is in Brooklyn. And all that will do now is trigger even more desperate moves. Desperate play on the court because players know they could be out the door next. Desperate coaching in an effort to earn a spot on the next coaching regime. Desperate management to do all possible to save a once promising season. Still, what makes the situation so desperate? All this -- and the Nets are currently a playoff team sitting 7th overall in the conference. Bad move firing Avery. He's a good coach. I blame Deron Williams. I think he's a selfish player that causes teams to implode.